Support from rock legends like Lynyrd Skynyrd helps American Freedom Foundation get by with more than just a little help from their friends. If it wasn’t for the American Freedom Foundation and its partners, Ray Gardiner says he probably wouldn’t be here today. And the Navy family of Brian and Elizabeth Decker wouldn’t have nearly the support they need when Brian’s out at sea. That’s what the AFF is all about: helping those in need. Whether it’s a wounded veteran whose family needs that extra helping hand, a serviceman trying to re-acclimate into society after a few tours overseas, or someone like Ray Gardiner who needs a reason to keep living, the AFF and its partners like Interfaith Ministries, the Armed Services YMCA and others across the country are dedicated to providing financial and moral support that runs the gamut from scholarships to jobs to a shoulder to lean on and much more. The organization’s top fund-raising efforts are big-name concerts throughout the year across the U.S., with headliners like classic rock legends Chicago and Kansas. 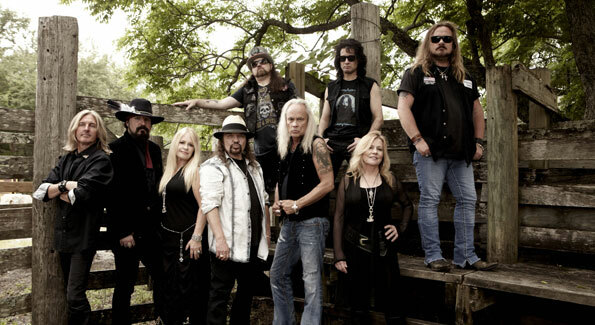 This year, Southern rock kings Lynyrd Skynyrd headlined the American Freedom Festival at the Patriot Center in Fairfax on November 10. Lynyrd Skynyrd guitarist Rickey Medlocke says that the legendary band feels honored to play a show benefiting military service members, and that they hold a special place in their heart for those who have given so much of themselves to defend our country. And on this night, not only did the boys in Skynyrd sincerely honor the nation’s veterans with their presence, they also honored the die-hard fans that have kept the faith for 30 plus years, and keep coming back year after year, with a well executed barrage of the best music that this legendary and truly time tested band has to offer. Songs from their last album before the crash, Street Survivors – including That Smell, What’s Your Name and a nice surprise roll of You Got That Right with Rickey Medlocke and Johnny Van Zant trading the Steve Gaines/Ronnie vocals – dotted the evening and clearly resonated like music from their peak, yet was easily mixed in with odes to their deep past, like Simple Man, Done South Jukin’, epic anthem Sweet Home Alabama, and live staples that included Saturday Night Special, Call Me The Breeze and Tuesday’s Gone. A way above-average version of Free Bird erupted as the obvious encore, and did not displease this lifelong Skynyrd fan nor anyone in a smaller crowd that it shoulda been. Bands like this are rare and are nurturing such a long legacy, that plus the still high skill level and a solid stage presence made it a night to remember on a number of fronts. But the night really and truly belonged to the AFF and the military personnel in attendance. 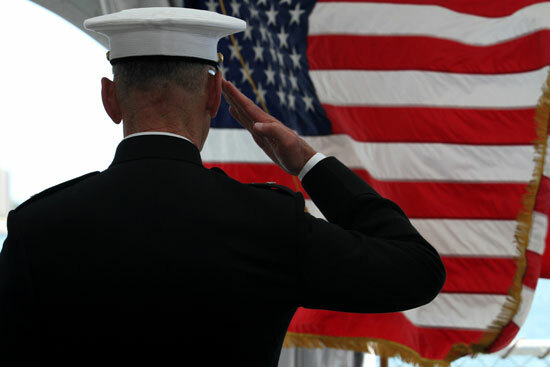 And it’s important to remember that not only does the AFF put on concerts to raise awareness, but a big part of its mission includes hiring events that provide golden opportunities for military veterans to find a job that might otherwise elude them as they try to readjust to civilian life. Ted Hacker is the AFF’s co-founder and president, and says that despite tough economic times, the AFF continues to get the word out to those who can most benefit from their wide range of services. Hacker strongly emphasizes that awareness is the key and the concerts are most likely the best way for AFF to keep its mission out in front of people so those who need help the most reap the rewards.